Alder wood, rear routed body only with custom Sunrise style chromaflux paint and poly finishing. Your choice body style, bridge and pickup routing. ChromaFlux incorporates a method of fluid acrylics and chemical reactivity to create amazing, organic, natural designs and color flows. This Body will fit standard 2 3/16 Sized Necks from Warmoth, Musikraft, Fender, and other Custom Necks. Alder wood, rear routed body only with custom Southwest style chromaflux paint and poly finishing. 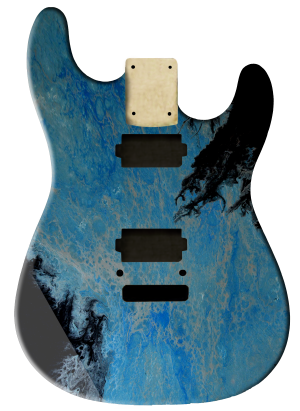 Alder wood, rear routed body only with custom Sky style chromaflux paint and poly finishing. Alder wood, rear routed body only with custom Rainforest style chromaflux paint and poly finishing. 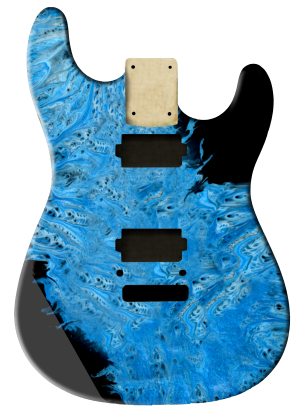 Alder wood, rear routed body only with custom Ocean style chromaflux paint and poly finishing. Alder wood, rear routed body only with custom Marble style chromaflux paint and poly finishing. 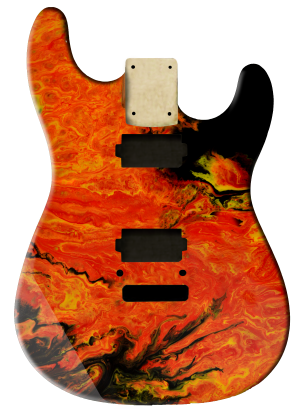 Alder wood, rear routed body only with custom Lava style chromaflux paint and poly finishing. 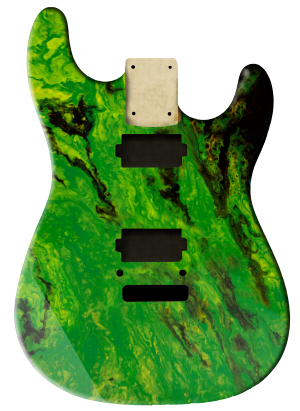 Alder wood, rear routed body only with custom Jade style chromaflux paint and poly finishing. Alder wood, rear routed body only with custom Ice style chromaflux paint and poly finishing. Alder wood, rear routed body only with custom Hematite style chromaflux paint and poly finishing. 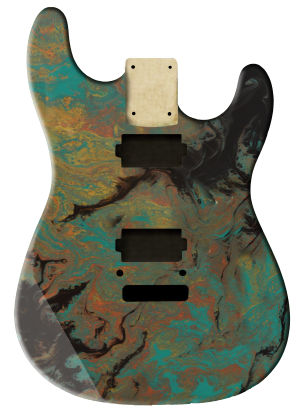 Alder wood, rear routed body only with custom Desert style chromaflux paint and poly finishing.